With the launch of the ERGON technology, SMI has pioneered the “new age of packaging” and the “new age of bottling”, being, once again, able to supply advanced solutions to the market and to provide efficient, flexible, eco-friendly, ergonomic, easy-to-monitor and easy-to-manage bottling lines and packaging machines, even more inspired by Industry 4.0 and Internet of Things (IoT) principles. 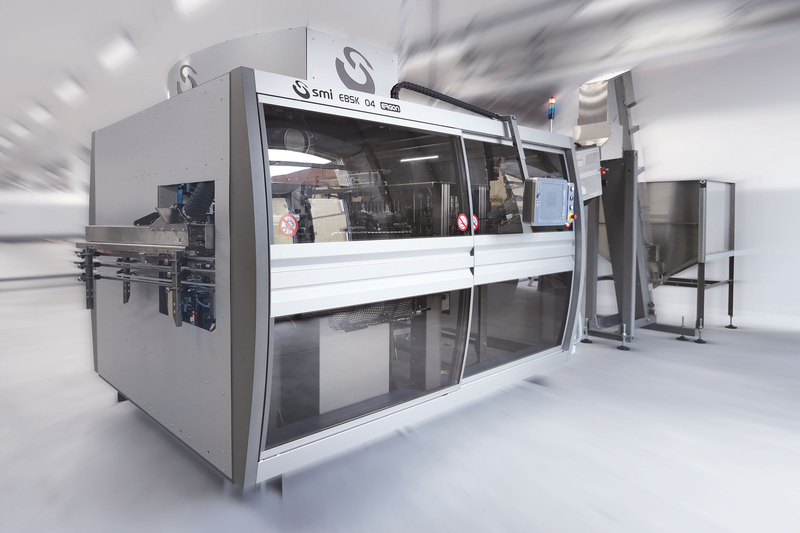 Among the blowing and bottling solutions, SMI’s EBS ERGON stretch-blow moulder, available both in stand-alone version and in “combi” version with an electronic filler and capper, is the ideal solution for manufacturing, filling and capping PET rigid containers, suitable for still and sparkling water, soft drinks, milk and edible oil and for chemical, pharmaceutical and detergent applications. 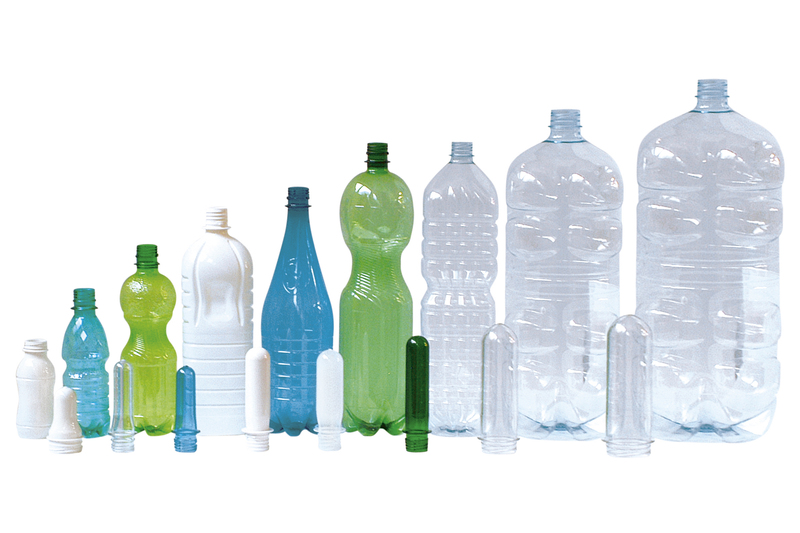 The new EBS (Electronic Blowing System) ERGON series includes both models suitable for the production of PET containers up to 3 L at the maximum speed of 33,600 bottles per hour and HC (High Capacity) models for the production of containers up to 10 L at the maximum speed of 7,200 bottles per hour. The use of advanced solutions ensures low energy consumptions and a total eco-friendly stretch-blow molding process. -The stretch-blow moulding module of the EBS ERGON range is equipped with motorized stretching rods whose functioning is controlled by electronic drives with no need of mechanical cams. This enables the precise control of the stretching rod motion and of its position and remarkable energy savings. -The EBS ERGON series also features a high performance, low dead volume valves system, able to reduce the pre-blowing and blowing times with a subsequent great advantage concerning the machine efficiency and the quality of the bottles manufactured. -The integration of the electronic stretch rod with the motorized mechanical mould unit has turned the EBS ERGON stretch-blow moulders into a real “cam-free” system. This has led to significant advantages such as improved cinematic precision, reduced maintenance, fewer vibrations, more silence and increased machinery longevity. -The EBS ERGON stretch-blow moulder is equipped with a new preform heating module, characterized by compact dimensions, horizontal frame of the preform-holding mandrel chains and an optimized ventilation and aeration systems. The new preform heating module is equipped with heat-reflecting, high energy efficiency panels made of ceramic material, positioned both on the front and the rear of the heat lamps in charge of preforms heating. This ensures a high reflection of the heat generated by the lamps and a more uniform distribution on the preforms surface. 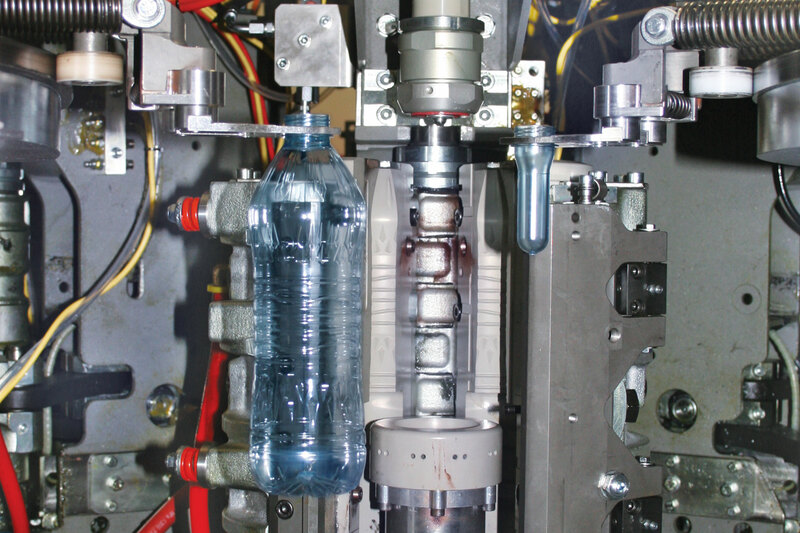 Starting from the countless technical innovations introduced on the EBS ERGON machines, SMI has developed a new series of extremely compact, rotary, stretch-blow moulders called EBS K ERGON able to satisfy production requirements up to 8,800 bottles/hour. The new models are available in 2, 3 and 4-cavity versions, and exploit all the advantages of the rotary technology in a “speed” range usually served by linear stretch-blow moulders. 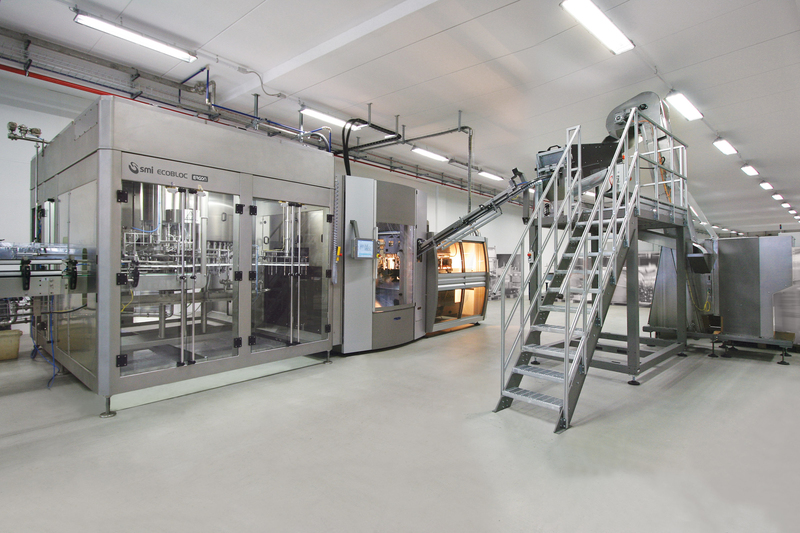 • The preform heating section (tunnel) is integrated with the stretch-blow moulding section (carousel) in a single, extremely compact module, that makes the system suitable for installation even on small bottling lines. • The structure containing the tunnel and the carousel is equipped with slightly rounded safety doors, providing more space inside the machine to perform cleaning and maintenance operations easily and safely. • The carousel of the stretch-blow moulder is equipped with motorized stretch rods controlled by electronic drives and thus does not require mechanical cams. • The stretch-blow moulding system uses high-performance, low dead-volume valves that reduce pre-blowing and blowing times, thereby improving the efficiency and the quality of the bottles produced. • The mechanical assembly of the mould is equipped with its own motorization, which ensures the utmost cinematic precision, reduced maintenance, fewer vibrations, less noise and increased machinery longevity. • The machinery is managed by the automation and control Motornet System®, which ensures the constant maintenance of optimum processing parameters throughout the entire production cycle and the direct modification of the machine settings, thereby simplifying the format changeover operations. • The blow-moulding pressure is automatically regulated according to the bottle format, offering unquestionable advantages compared to the manual adjustment solutions used on the linear stretch-blow moulders. • The machine comes standard, with a double-stage air recovery system and it boasts a very attractive quality/price ratio, also saving on the installation and start-up costs as the system compactness allows these operations to be carried out in a single day. • low energy consumptions and eco-friendly stretch-blow moulding, filling and capping processes.